This is the way home! 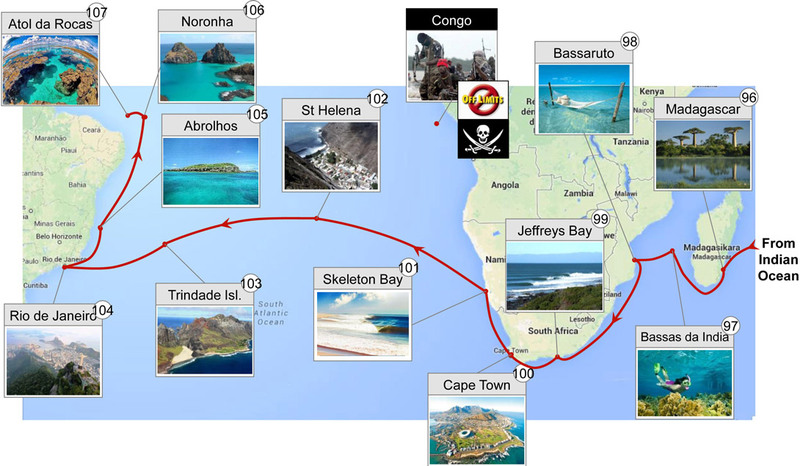 Not only we will get to sail around Brazil, but we will explore Madagascar and Namibia coast, do some sharky, yet great surfing in South Africa and Namibia. We really do not want to rush during this passage and wait for the perfect timing with consistent weather to go around South Africa.